Retirement Home. 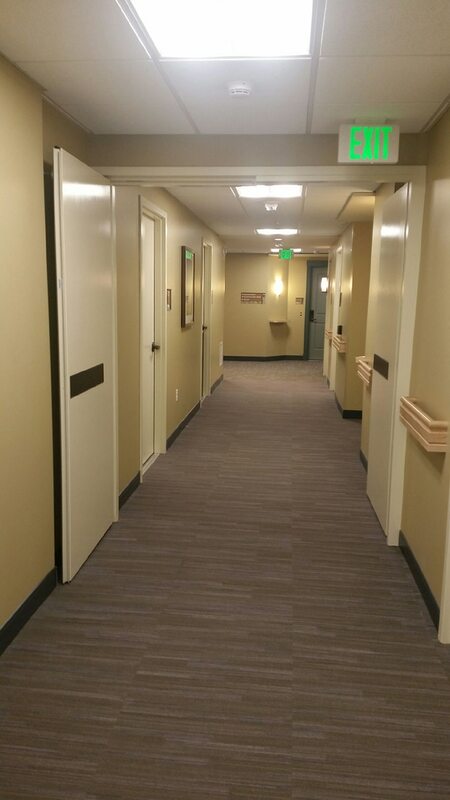 Fire rated cross corridor double egress by Integrated Doors. Dark bronze PF200 flush exit devices, factory pre-finished. Closers concealed in a pocket behind the door.